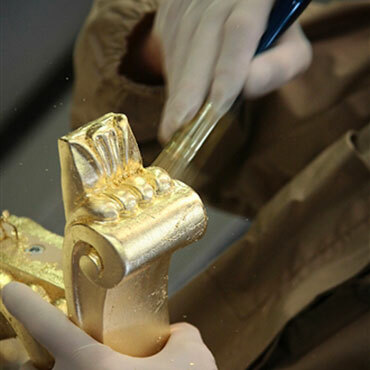 “100% Made in Italy” is a certification issued by l’Istituto per la Tutela dei Prodotti Italiani (Institute for the Protection of Italian Products) to companies which, following a series of checks and research, show that their entire production cycle unfolds exclusively in Italy. 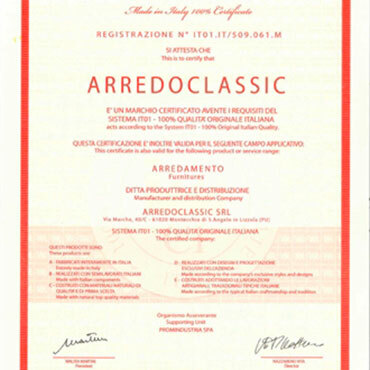 The Italian nature of the brand contributes to the immediate recognition of an Arredoclassic product, which embellishes and elevates it in terms of quality and image. 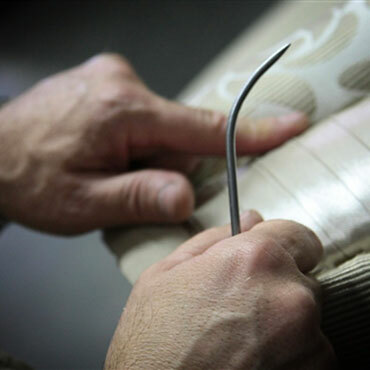 Arredoclassic has its entire production chain in the heart of one of the most important furniture production districts in Italy; the Pesaro area has – for decades – been a benchmark for innovation and research in the interior design field. Working in this industry entails being part of a system of continual innovation, which develops in the wake of a consolidated tradition. 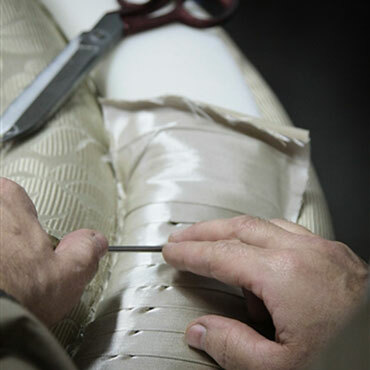 Every piece of our furniture is the result of a specific work process, which models the upholstered parts with cure upon the wooden frames, thus creating comfortable and sculptural.